Linda Middelberg has been a valued member of the Bishop’s Cabinet since July, 2014 serving the Maumee Watershed District where she has provided exceptional administrative and pastoral leadership until moving to the Capitol Area North District as Superintendent in 2015. In July, 2018, Bishop Gregory V. Palmer named Linda as his Executive Assistant, so she currently serves dual roles as the Bishop's executive assistant and as the Capitol Area North District Superintendent. Immediately prior to serving as Superintendent of the Maumee Watershed District, Linda was Executive Pastor at King Avenue United Methodist Church. Linda attended Morehead State University where she earned both her Bachelor’s and Master’s degrees in Business Administration. While taking a disciple bible study class at her home church, Christ United Methodist Church in Kettering, she recognized her call to ordained ministry and earned her Master of Divinity from United Theological Seminary. 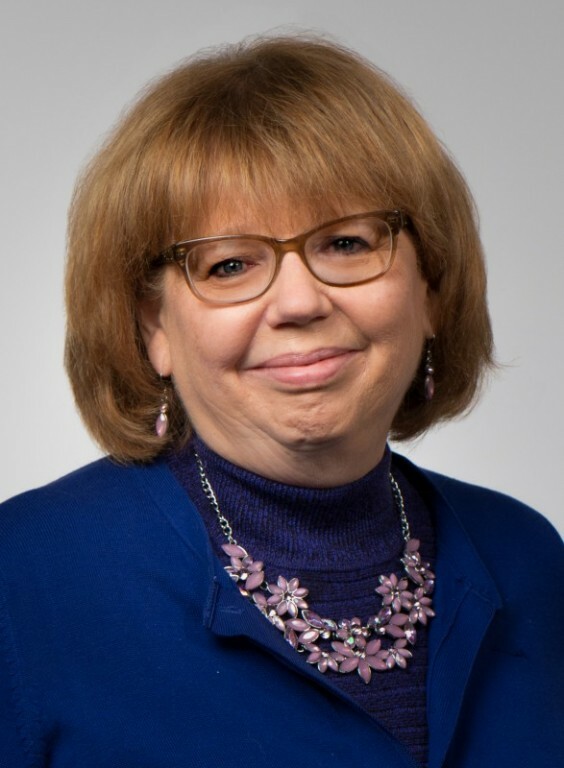 As the leader of the Capitol Area North District, Linda has spiritual and administrative oversight of 88 churches in central Ohio, as well as numerous mission sites and ministries. Linda is passionate about engaging with people who believe they have been forgotten and connection to the love and mercy of Jesus Christ. Her skills as a teacher have also allowed her to be a coach for new pastors, a candidacy mentor, and a Crucible leader. Linda has been married for over 30 years to her husband, John, and they have two daughters, two sons-in-law, and four grandchildren who are the joys of their lives. Rev. Karen M. Cook has been appointed as the Assistant to the District Superintendent in the Capitol Area North District effective July 1, 2016. Previously she served as Associate Pastor for the United Methodist Church for All People and the Training Center Director for Community Development for All People. A native of Columbus, Ohio, Rev. Cook earned her Associate’s Degree in Allied Health Medicine at Columbus State Community College. She also holds a Bachelor’s of Art Degree in Psychology from Capital University and a Master’s of Divinity Degree from the Methodist Theological School. She has served as a Ministerial Intern at St. Luke’s UMC and at Centenary UMC. She was licensed to preach in 2002 and appointed to serve the Hilltop United Methodist Church in the same year. In 2007, Rev. Cook was appointed to serve Crossroads UMC and served that congregation until May 1, 2013. Karen serves on several committees and task forces related to the Capitol Area North District and the West Ohio Conference. In addition, she was recently elected to serve as a delegate to the 2016 General and Jurisdictional conference. Rev. Cook also serves as a board member for the General Board of Church and Society for the United Methodist Church. Karen is married to Broderick Cook, an employee of the United States Postal Service, who is also a gifted Psalmist and bass guitarist. They are the proud parents of Broderick, II (Ricky), Phillip and Aaron. Jill has been with the District Office since June, 2011. Prior to working here she worked in the office at Powell UMC for six years. Jill has a degree in Marketing from the Ohio State University and previously worked in Admissions and Marketing for long-term care facilities. Originally from Marysville, Ohio, Jill grew up in Marysville First UMC and is a member of Powell UMC. She and her husband Tony live in Powell with their three children: Leah, Hannah and Evan. Ginny has been with the District Office since January, 2012. Prior to working with the District she was self-employed with Senior Transition Services. Ginny has 23 years experience in accounting and public service. Ginny lives in Columbus and is a member of Bethel International UMC.